HMI Archives - Synergy Systems Inc. In late September Invensys announced it had acquired InduSoft, a provider of HMI and embedded intelligent device software for automation industries. Invensys has been a member of the Synergy team for 14 years. 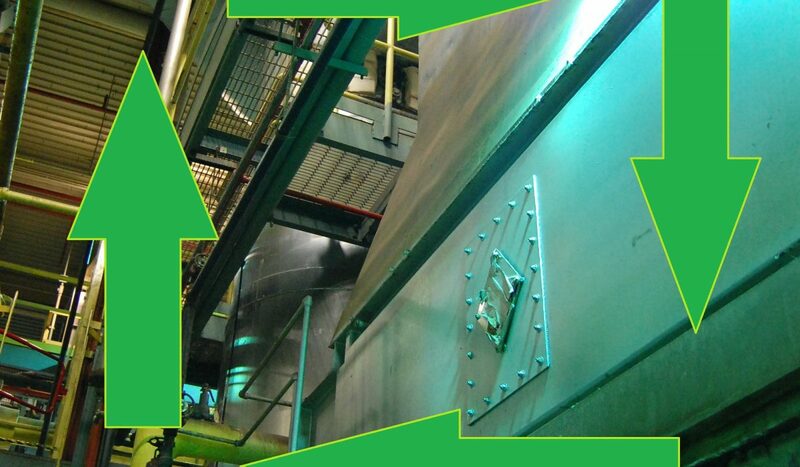 They are highly valued as they share our goal to provide safe, efficient and reliable systems to clients. Founded in 1997, InduSoft has proven themselves as a source for quality HMI and software. The company won Control Engineering magazine’s Engineer’s Choice Award in 2010, 2011, 2012 and 2013. Invensys President, Ravi Gopinath, told Control Engineering the acquisition strengthens Invensys embedded HMI and continues the company’s drive for growth. InduSoft will be adding employees to Invensys operations in the United States, Brazil and Germany. We at Synergy Systems are proud to be allied with a high –quality HMI and software provider like Invensys who continues to strive for growth and excellence. Click here to see a slideshow of all the work that went into this incredible transformation. 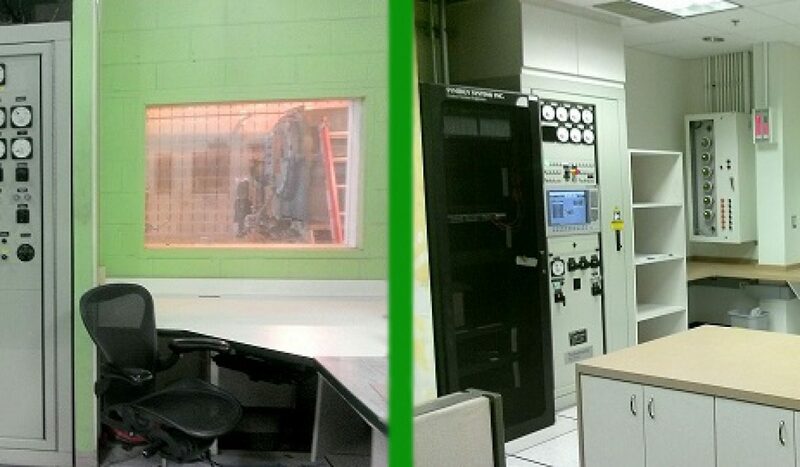 June 6: Demolition begins and control console is moved to a temp location. June 22: The remodel, rough in. July 17th: Major components are in place. 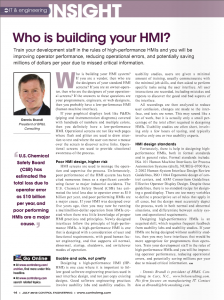 An article on page 14 of the latest Control Engineering Magazine ask the question “Who is building your HMI?” The question related to high-performance HMI and implores readers to answer honestly about the human machine interfaces they use and/or create. 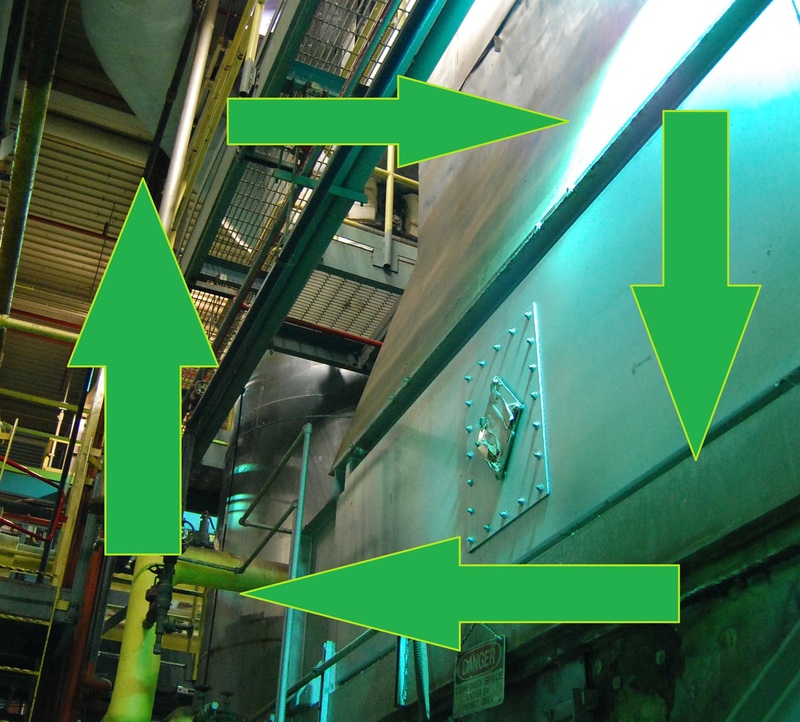 Industrial accidents, collectively costing billions of dollars every year, are often related to poor HMI. The discussion of what is and isn’t high performance HMI is curtail to an optimally running plant. 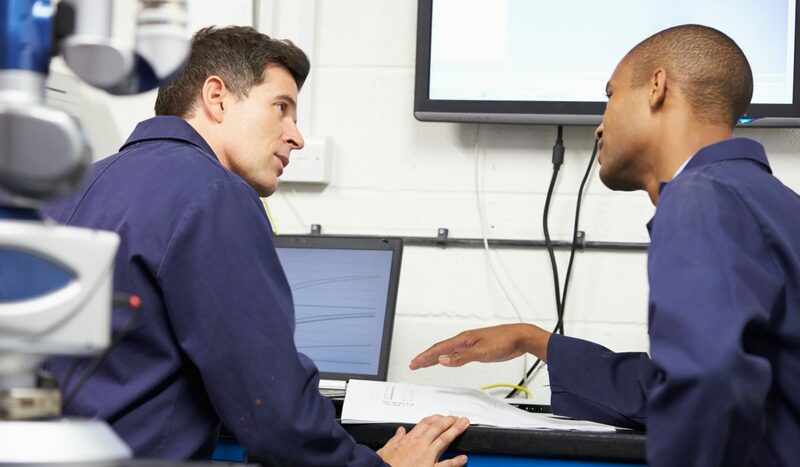 While there are a number of HMI guidelines out there, the variations in what a plant or organization needs are so great that it is hard to nail down specific standards that must be followed in every case. The true test of high performance comes down to usability. The Control Engineering article considers usability testing as a worth-while step when creating HMI. Consider your typical new hire. You are confident the person has the basic skills needed to perform the job, but, since the person hasn’t been on the job for a significant amount of time, those basic skills are the only ones you can be sure of. Would that new hire be able to use operational HMI screen successfully with just those basic skills? Usability testing can be as simple as having a person with basic skills in operation use the HMI and taking note of errors they make and questions they have. In this way, you can be sure to have high performance HMI made for the mind of the operator instead of the mind of the programmer. Regardless of your unique HMI needs, there is no question that operational screen should be accurate in their presentation of process data, safety data and alarms. Ease of use and accurate portray of information should be the primary focus of all high performance HMI. Here at Synergy, we often perform our own usability test, asking members unrelated to a project to utilize the screen and the user manual to perform basic tasks. Not only does this improve our HMI, taking it to a higher level of usability, it also improves our user manuals. The first place an operator should be able to turn to when a questions arises is the user manual, making accurate portray of screen operations equally important in that document. BusinessDictionary.com defines Life Cycle Cost as the “sum of all recurring and one-time costs over the full life span… of a good, service, structure or system.” This is a term often used in our industry, where process equipment and boilers are purchased with the intention of running them decades into the future. The rapid pace of technology, along with growing environmental concerns, has added additional elements to the calculation of life cycle cost. For example, a product with a long life may become obsolete before its end. Another concern is environmental laws. While a systems may be compliant with emission laws right now, changes in the future could hold even stricter emission restrictions. 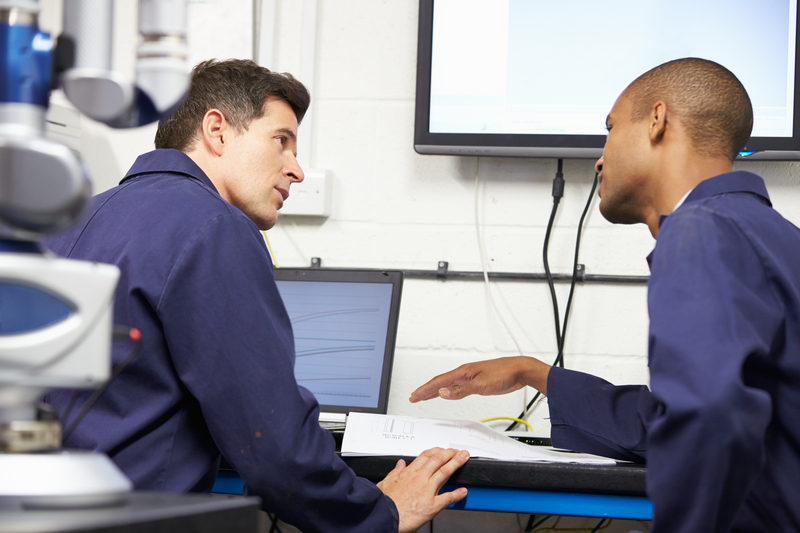 Upgrading typically requires the replacement of a few parts while maintaining a whole system or product. That is changing with technology’s ever increasing advancement. Upgrading can mean different things depending on the product you purchase. If advanced technology is already being sold in the marketplace, other products may become obsolete as the newer technology takes hold. In a few decades, an upgrade may require complete replacement of some equipment. The latest technology tends to have a higher cost, which much be weighed in terms of the product life cycle. More than likely, a plant is better off choosing the latest technology because it will take a significant amount of time before it becomes obsolete. In the end, less money will be spent throughout the life cycle with a product that remains at the forefront of technology for years to come. Today’s cutting-edge technology, such as intelligent HMI and variable frequency drives, many benefits, which much also be taken into consideration. Greater efficiency, less maintenance and a smaller environmental footprint are all elements of new technology that save money in a system. Such benefits may be necessary in the future. Our culture has only become increasingly concerned about industrial emissions. It can be assumed, then, that the future will see a gradual tightening of restrictions on emissions. A sure way to avoid negative impacts from future emission restrictions is to ensure your plant surpasses current standards. Installing an economizer can be a simple and cost effective way to begin. In addition to reducing emissions, it saves fuel and energy cost by harnessing the energy that would otherwise be lost up the stack. For these reasons, Synergy’s Economizer Solutions provides the fastest return on investment out of all of our products. At the end of the day, any steps in upgrading or optimizing that can reduce emissions can also reduce the cost of running a system. Such ‘green’ elements should weigh heavy in any life cycle cost analysis. When it comes to calculating the life cycle cost of your next big business purchase, remember to consider more than purchase price, maintenance and life. Additional concerns, such as environmental impact and whether or not the product will be obsolete in the near future should carry a lot of weight in your decision. ~You aren’t alone in this decision. Synergy’s expert combustion engineers are always available to provide advice on whatever project you may be planning. Contact us at 630–724-1960, extension 12.